Aubonne, 5 December 2017. The Delegation of Great Britain and Ireland notes with much sadness the passing of His Majesty King Michael I of Romania, GCVO, aged 96. The Delegate for Great Britain and Ireland, Anthony Bailey, on behalf of the Council, Chaplains and knights and dames, extended his sincere condolences and prayers to his daughter, HRH The Princess Elena of Romania, Dame Grand Cross of the Royal Order of Francis I, and her husband, HE Mr Alexander Nixon, Knight Commander of Merit of the Sacred Military Constantinian Order within the British and Irish Delegation. 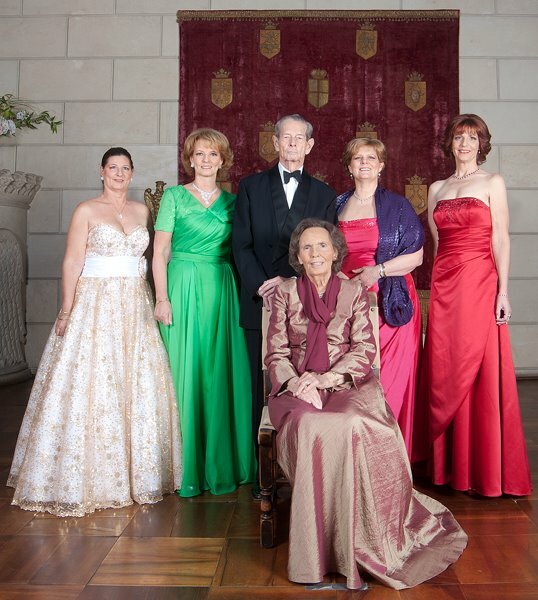 Following the passing of His Majesty, his eldest daughter, HRH Crown Princess Margareta is now the Custodian of the Crown of Romania and the new Head of the Royal Family of Romania. King Michael ruled Romania twice, from 1927 to 1930 and then from 1940 to 1947. His Majesty lost the Throne in 1947 when having overthrown Fascism in his country, he saw his realm dragged behind the Iron Curtain. As a result the Romanian people suffered over 40 years of communist rule under Nicolae Ceaușescu. Prime Minister, Mihai Tudose, also expressed his condolences together with numerous political figures, writers, actors, and other personalities in Romania. Rest in peace. Ar dheis Dé go raibh a hanam. Requiescat in pace. Odihneasca-se in pace. To read His Majesty’s obituary please click here.